miniOrange provides a ready to use solution for Bime Analytics. This solution ensures that you are ready to roll out secure access to Bime to your employees within minutes. miniOrange provides secure access to Bime Analytics for enterprises and full control over access to the application. Single Sign On (SSO) into Bime Analytics with one set of login credentials. 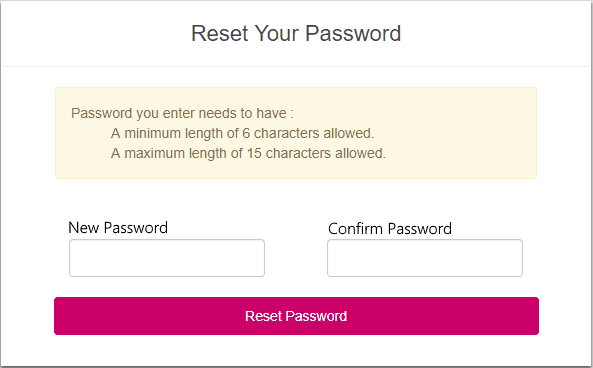 Secure your Bime app from password thefts using multi-factor authentication methods with 15+ authentication types provided by miniOrange. Our multi-factor-authentication methods prevent unauthorized users from accessing information and resources having password alone as an authentication factor. Enabling second-factor authentication for Bime Analytics protects you against password thefts. The Enduser will be redirected to their Bime account by clicking the Bime icon on the Enduser Dashboard - there is no need to log in again. In SP Initiated Login, SAML request is initiated by Bime. An Enduser tries to access their Bime domain. Here they can enter the miniOrange login credentials and login to their Bime Account. Click on SAML tab. Select Bime. Enter the SP Entity ID as https://your_domain.bime.io/users/auth/saml/callback. Enter the ACS URL as https://your_domain.bime.io/users/auth/saml/callback. 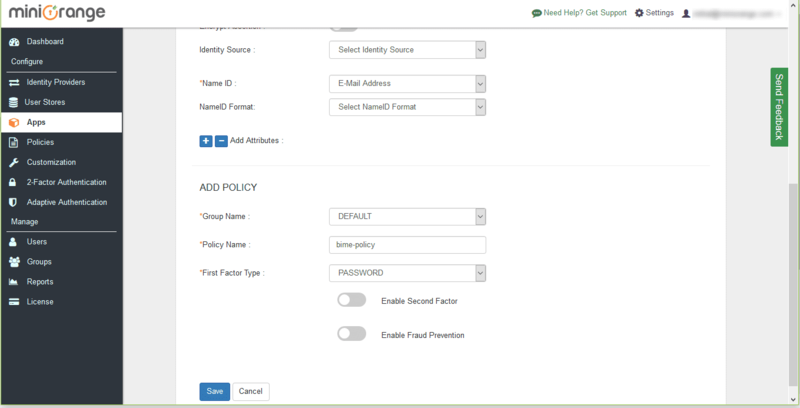 Now enter the Bime in the Policy Name field. Click on Save to configure Bime. Click on Metadata link to download the metadata which will be required later. Click on Link to see the IDP initiated SSO link for Bime. Click on Download Metadata button to download the metadata file which you will require in Step 2. Login to your Bime domain as the Account Administrator. Go to Admin section on the sidebar and click on the Security icon in the menu. 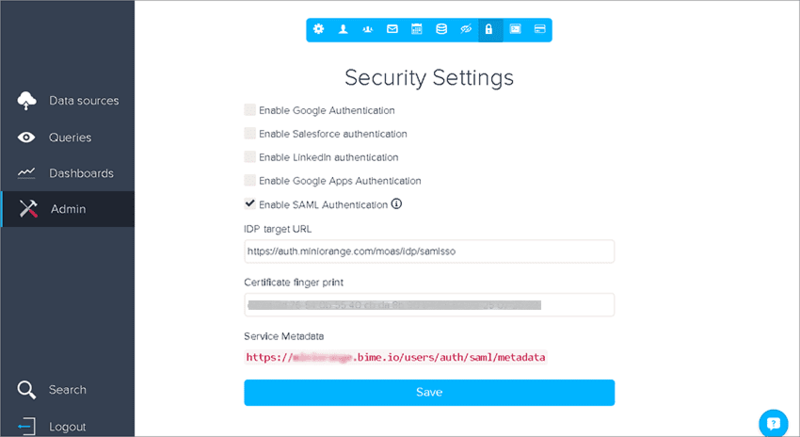 Click on Save to configure the SAML settings. 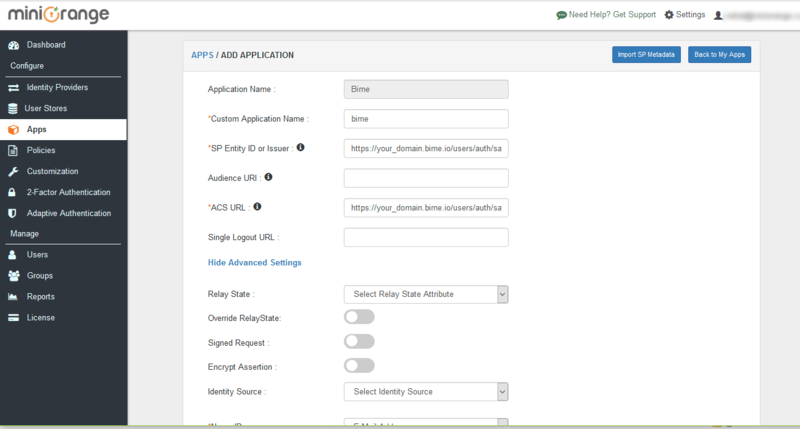 Click on Bime LMS (SAML) application which you added, to verify your sso configuration.